Credit card terminals are in every shop, every bank, and ATMs line every major road. Can you realistically live without a credit card in today’s world? Security – Paying with a credit card is one of the most secure ways to pay a bill, shop online, or buy items in a store. Credit cards are protected against fraud for all uses. 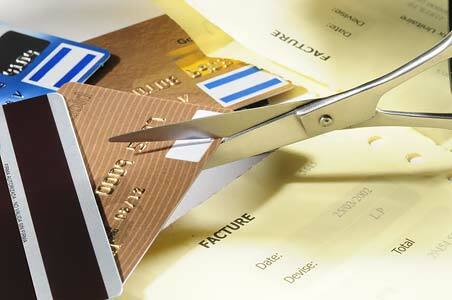 Warranties – Credit card companies provide a basic warranty (with modest exceptions) on everything that you charge. The warranty over and beyond a manufacturer’s warranty is a great benefit many forget. Rewards – Credit card rewards can easily tally to more than $500 per year, even for light spenders. Consider the benefits of gasoline and grocery rewards before you put away your credit card. Credit – Having a credit card is an important part of having a good credit score. As credit cards are one of the few ways to get a revolving account, you’ll miss out on this big component of credit scoring calculations. Convenience – Face it, having a credit card is convenient. Going to the ATM every time you need to make a purchase takes time, gas, and in some cases, money! Interviews – Credit reports are now part of the employment process. Using a credit card responsibly shows a potential employer that you are a responsible team player that would be good in their organization. Having a credit card is just another part of operating in this complex financial world. Don’t worry, though – having a credit card doesn’t mean that you have to use it all the time, or that you have to pay interest. Make a single charge each month and pay the balance in full to get the value of a credit card on your credit report. How Much Does the APR Matter?